"S, M, L, XL" presents a selection of the remarkable visionary design work produced by the Dutch firm Office for Metropolitan Architecture (O.M.A.) and its acclaimed founder, Rem Koolhaas, in its first twenty years, along with a variety of insightful, often poetic writings. 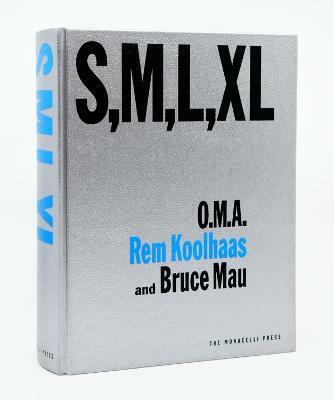 The inventive collaboration between Koolhaas and designer Bruce Mau is a graphic overture that weaves together architectural projects, photos and sketches, diary excerpts, personal travelogues, fairy tales, and fables, as well as critical essays on contemporary architecture and society.